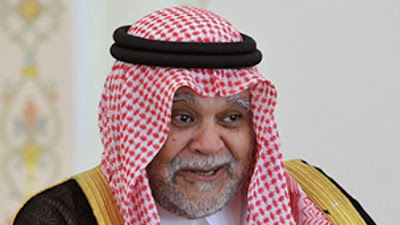 According to the Wall Street Journal, Bandar is leading the rebel forces trying to overthrow the Syrian government. Many analysts consider Bandar a prime suspect in the apparent false-flag chemical weapons attack in al-Ghouta. Adam Entous of the Wall Street Journal says that Prince Bandar and his Saudi Intelligence Agency manufactured “evidence” that the Syrian government had used sarin gas prior to the al-Ghouta attack.